With an average depth range of 33 to 50 feet, Show Low Lake is a great lake for beginning to advanced anglers. Boating is permitted on Show Low Lake in electric boats or gas engine boats with a maximum of 10 horsepower. State fishing licenses are required for 10 years and older. Boat rentals are on first come, first served basis. See our rates and fees list for boat rental pricing. 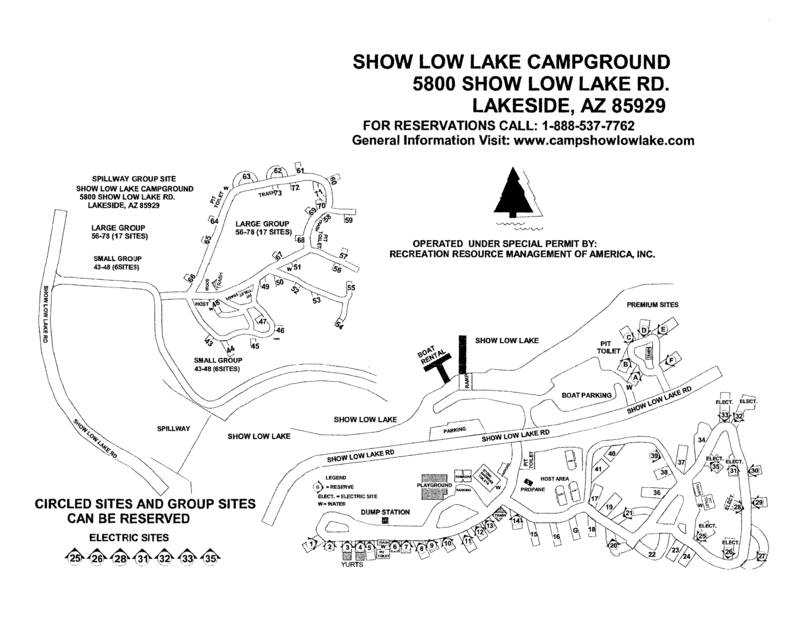 What Kind of Fish can you catch in Show Low Lake? 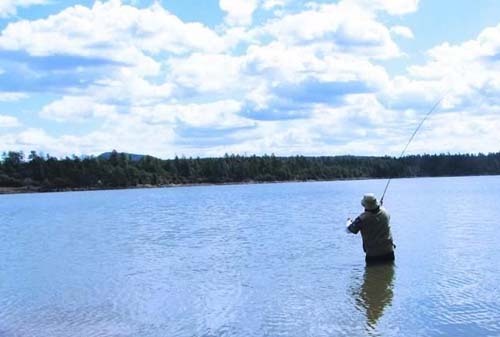 Trout fishing from the shore is always possible because the lake doesn't get weedy. Many trout survive the winter here and can get quite large. Try trolling spinners in early spring to catch one of these fat trout. For stocked trout, try Power Bait or night crawlers. Walleye fishing is best in spring and fall. Try fishing rocky bottom structures or by the dam with crank baits or jigs. Stay in the shallows and fish at dawn or dusk to improve catching odds. For the lunkers, try large crank baits in the shallows or along the shoreline, or bounce a night crawler rig slowly on the bottom. Catfishing can be exciting here. A 32-pound channel catfish was recently caught that threatened the State Record. Fish for catfish on summer or fall nights, using chicken liver, night crawlers or waterdogs as bait. In spring, channel catfish and walleye congregate at the upper end, where Show Low Creek flows into the lake. Small bass and sunfish can be caught with night crawlers in the rocks along the dam.